FME Learn Online offers online training towards selected CIMA papers in association with renowned and experienced independent tutors. You can access FME hosted online products using PC, tablet or phone via this site. We work closely with your tutor to ensure your learning experience is straightforward, relevant and above all successful. 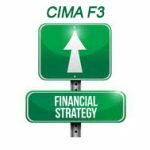 The CIMA (Chartered Institute of Management Accountants) offers a syllabus strong on the core accounting skills, and also includes ‘Big Data’, sustainability, integrated reporting and finance function transformation. You also study risk, as well as costing and cost management. It differs from ACCA in not covering as much audit and tax, and covering financial accounting to a lower level. Instead, its emphasis is on skill sets useful to internal decision makers and data manipulators.